Most of our pieces are made-to-order. Expect 3-4 weeks for production of this piece. As soon as your order ships you will receive tracking. Need something sooner? Check out our in-stock page. This piece is final sale. Customize this letter necklace with a special name! Made to last in solid 14k. 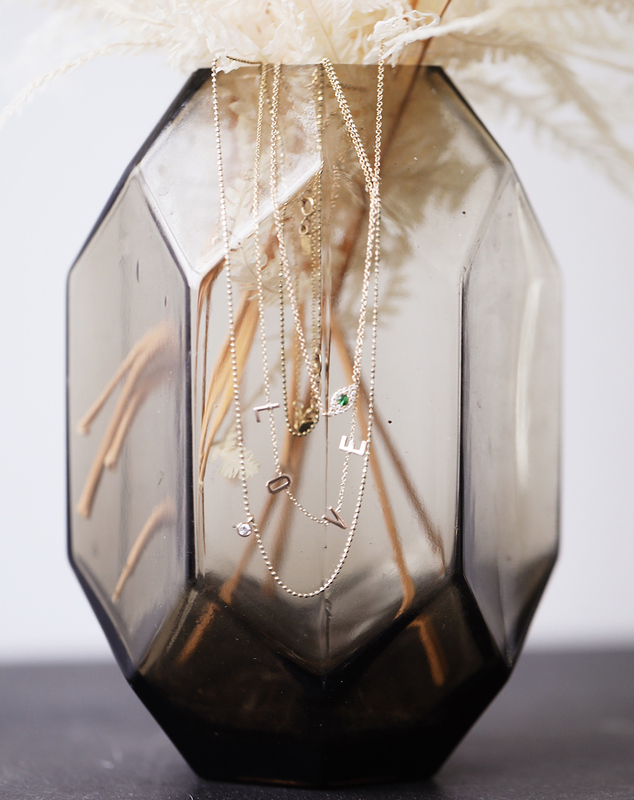 Kelly’s education in industrial design enlightens her sculptural, yet playful fine jewelry line. 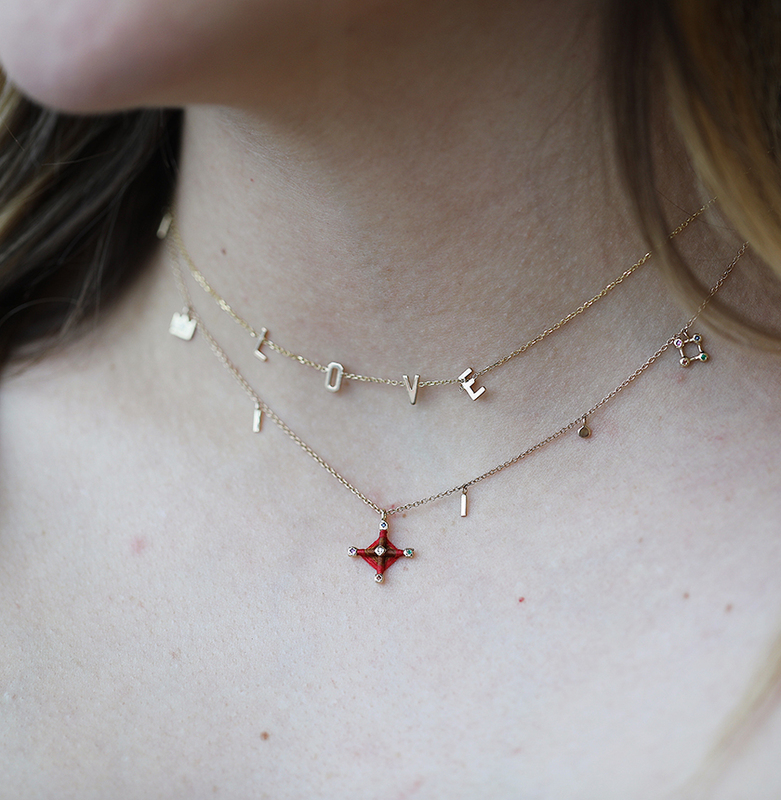 She creates clean, graphic jewelry and customizable pieces inspired by her love for minimalist design, light, shadows and cultural influences from her travels. The resulting collections feature styles that are true fashion statements while maintaining an air of magic stemming from her love of art and sculpture.